The mobile desk knows how to handle your child's growth spurts: it simply has a growth spurt of its own! 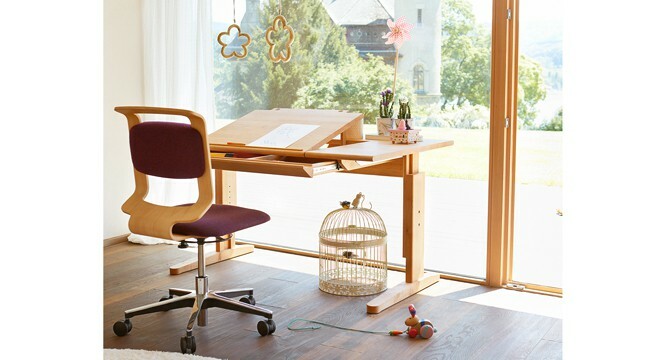 The desk height can be easily adjusted and the model can also be perfectly adapted to suit your child's ergonomic needs. The mobile desk also has plenty of extension options. The basic desk, which features either a fixed or partially tilt able top, can be expanded with a wide range of accessories: a desk tier, worktop extension, desk drawer or a container on wheels all provide solutions to suit all your storage and workspace requirements. 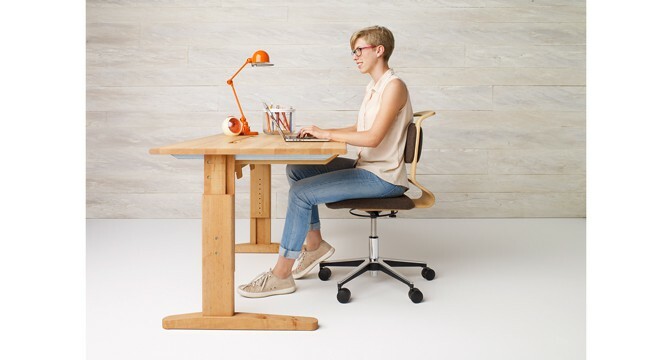 The combined desk/swivel chair features everything that makes TEAM 7 furniture special: original design, functionality, high-quality materials and safety (GS-tested). The three-dimensional seat adjustment options provide ergonomic seating comfort. Once your child has sat down, they’ll find it hard to get back up again – which is perfect when they have homework to do! 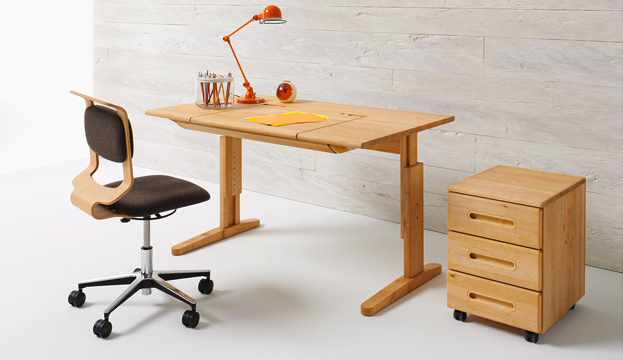 The mobile desk is available in either alder or beech. The swivel chair is made of beech and available with a fabric cover featuring one of the three colours schemes of the mobile animal range (rabbit, bear or owl).